The mission of the Hamilton Municipal Court is to provide the Public the highest quality of service possible in a timely, efficient, and courteous manner. To achieve this goal, our facilities must be operated in a safe, open and accessible atmosphere, be based on a comprehensive long and short term planning, and have an appropriate managerial organization tempered by fiscal responsibility. The Civil Division is where civil disputes involving dollar amounts up to fifteen thousand dollars, landlord tenant disputes, including evictions and rent escrows, collection of judgments via garnishments, debtor trusteeships, and appeals to the Bureau of Motor vehicles for 12-point driving suspensions are handled. Small Claims are civil disputes involving monetary amounts of up to six thousand dollars. Disputes involving larger dollar amounts are handled in the Butler County Common Pleas Court. The Traffic Division is involved with traffic violations, ticket payouts, driver's license concerns, and vehicle impoundments. Typically, driver's license problems and impoundments involve a court appearance. Parking tickets are paid at the Hamilton Police Department or at designated areas. If a citizen wanted to plead not guilty, a hearing would be set before the judge. Some traffic violations do not require a mandatory appearance. A listing of the Violations Bureau-Waver List will be in the Municipal Criminal Division when completed. Check to see if they are posted as the web page is constantly being updated. The Criminal Division is concerned with criminal cases whose incarceration penalty is 12 months or less and fine is $1,000.00 or less. Offenses carrying greater penalties than these are handled by the Butler County Common Pleas Court. These are usually referred to as Felonies. 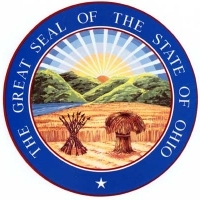 Felony cases are heard by a grand jury before going to common pleas court. There are several ways cases can go to the grand jury. But when a felony is charged through the municipal court, the court has a preliminary hearing to see if probable cause has been established. If probable cause has been established the municipal court judge binds the case over to the grand jury. Probation Services is more than setting up a time payment plan for fine and restitution that is ordered from the court.